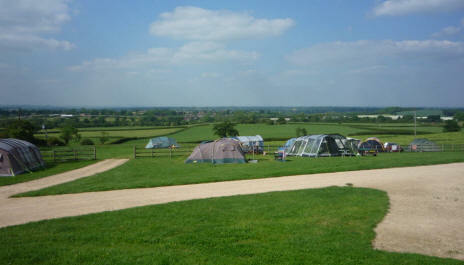 The site offers the perfect base for a weekend break or a longer holiday to explore the area. 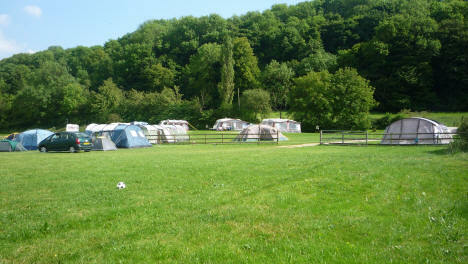 As featured in Coolcamping "Tiny Campsites" 2010 edition and "The Rough Guide to Camping". "Discover a little pocket of camping bliss....."
The site has hard standings for 5 caravans, with hook for electricity and adjacent water. Paddock area for approx 12 tents. - Washing up facilities, fridge, kettle microwave and freezer for campers use. Coarse fishing available on a small (half acre) pool. The pool contains a mixture of coarse fish and day passes (limited) are available from the farm. Well behaved dogs are welcome but must be supervised. The nearby village of Marchington & Draycott provides Post Office and Shop with fresh bread and milk. Butchers shop also close by, for all your requirements for the Barbeque! Visit Uttoxeter, a pleasant Market Town and enjoy a coffee and cake at Indulgence Cafe in the centre of town. 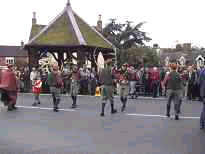 Locally there are plenty of country pubs and eating places to suit all tastes. Forestside is only a 25 minute drive to Alton Towers with its sensational rides and attractions, as is the Peak District, Ashbourne and the former Royal Hunting forest of Cannock Chase, where one of Britain's largest herd of Fallow Deer roam free. Drayton Manor Park is a little further away, but with an award winning Zoo, it is well worth the visit. Waterworld and the home of Wedgewood in the "Potteries" at Stoke on Trent makes a great day out, as does Carsington Water in the Peak District for cycling, walking, sailing and wind surfing! There are many National Trust properties within easy reach, Sudbury Hall, Kedleston Hall, Shugborough Hall & Farm, together with Calke Abbey are all splendid places visit. 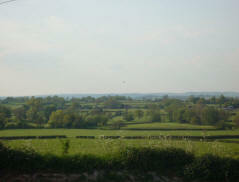 The site offers the perfect base for a weekend break or longer holiday to explore the surrounding area. A little corner of paradise, ideal for those wanting to enjoy the countryside, with superb views to enjoy over a glass of wine. "Highly recommended, we were looking for a quiet getaway weekend with our two small boys and enjoyed every minute"
"The site is clean, small & friendly with Fab views over the surrounding meadows & countryside"
"We were very impressed with the site and thought it provided excellent value for money"
"We've just returned from a lovely stay at Forestside. The showers and toilets were immaculate with lots of hot water! Very friendly welcome and a fantastic peek at farming life which we all enjoyed"
sunny and hot (which is always good for camping) but more importantly the views were amazing!" working farm with cows), and having an excellent view over the valley"
The birthplace of Dr Johnson, with a beautiful cathedral this City has much to see and to do. Cannock Forest sits on Cannock Chase, the smallest Area of Outstanding Natural Beauty on mainland Britain. Cannock Chase is best known for its open heathland and pine forest and its mining and military history which stretches back several hundred years and still effects how the land is managed today. Picturesque village where the traditional horn-dance is held every September. There are also many pubs providing good quality food. The UK's best theme park rides for all ages. A great day out for all the family leaving you wanting more! 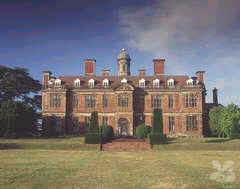 Local National Trust property, home of Lord Vernon. Childhood Museum, tea rooms in delightful village setting. Marchington - a small, attractive village in East Staffordshire, England. It lies between the towns of Burton upon Trent and Uttoxeter, not far from the banks of the River Dove. In many ways it is an idyllic English village. Get a map of our location by clicking onto the "multimap" logo below.